 王嘉宏. 通关安全检查系统的运作模式与仿真研究综述[J]. 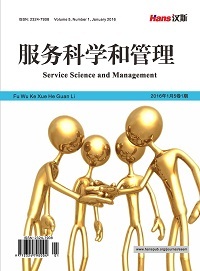 计算机科学与应用, 2017, 7(11): 1067-1078. Zhang, Z.G., Luh, H. and Wang, C.-H. (2011) Modeling Securi-ty-Check Queue. Management Science, 57, 1979-1995. Luh, H., Zhang, Z.G. and Wang, C.-H. (2013) A Computing Ap-proach to Two Competing Services with a Finite Buffer Effect. 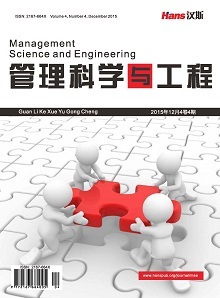 Proceedings of the 8th International Conference on Queueing Theory and Network Applications (QTNA2013), Taichung City, Taiwan, July 30-August 2 2013, 15-21. Wang, C.-H. (2015) A Modelling Framework for Managing Risk-Based Checkpoint Screening Systems with Two-Type Inspection Queues. Proceedings of the Third International Conference on Robot, Vision and Signal Processing (RVSP 2015), Kaohsiung, Taiwan, 18-20 November 2015, 220-223. Wang, C.-H., Wu, M.-E. and Chen, C.-M. (2015) Inspection Risk and Delay for Screening Cargo Containers at Security Checkpoints. Proceedings of the Eleventh International Conference on Intelligent Information Hiding and Multi-Media Signal Processing (IIH-MSP-2015), Adelaide, Australia, 23-25 September 2015, 211-214. 徐汇川. 某大型枢纽机场新安检模式的验证与优化研究[D]: [硕士学位论文]. 北京: 中国人民公安大学, 2017. 麻建军. 基于乘客风险等级的分组安检对机场安检系统性能影响的研究[D]: [硕士学位论文]. 北京: 中国民航大学, 2017. 王嘉宏, 陈荣庆. 基于旅客风险分类的机场安检排队仿真分析[J]. 管理科学与工程, 2018, 7(2): 110-124. 崔晓喆. 基于流程分析的机场安检风险管理研究[D]: [硕士学位论文]. 北京: 中国民航大学, 2018. 赵振武, 唐玉丽, 麻建军. 基于旅客分类的机场安检系统研究[J]. 综合运输, 2017, 39(3): 37-41. Wang, C.-H. (2016) Arena Simulation for Aviation Passenger Security-Check Systems. Advances in Intelligent Systems and Computing, 536, 95-102. Huang, P., Luh, H. and Zhang, Z.G. (2016) A Queueing Model for Tiered Inspection Lines in Airports. International Journal of Information and Management Sciences, 27, 147-177. Wang, C.-H. and Lan, J. (2017) Performance Evaluation of a Risk-Based Three-Tier Inspection System. The 2nd International Conference on Computational Modeling, Simulation and Applied Mathematics (CMSAM2017), Beijing, 22-23 October 2017, 464-468. 赵振武, 李新源. 基于Anylogic的机场旅客安检流程仿真与优化[J]. 中国民航大学学报, 2018(5): 52-55. 赵振武, 李新源, 唐玉丽. 机场2阶段安检系统设计与性能分析[J]. 中国安全科学学报, 2018, 28(8): 81-86.
 de Lange, R., Samoilovich, I. and van der Rhee, B. (2013) Virtual Queuing at Airport Security Lanes. European Journal of Operational Research, 225, 153-165. Boekhold, J.V., Faghri, A. and Li, M. (2014) Evaluating Security Screening Checkpoints for Domestic Flights Using a General Microscopic Sim-ulation Model. Journal of Transportation Security, 7, 45-67. Perboli, G., Musso, S., Perfetti, F. and Trapani, P. (2014) Simu-lation of New Policies for the Baggage Check in the Security Gates of the Airports: The Logiscan Case Study. Proce-dia-Social and Behavioral Sciences, 111, 58-67. Kierzkowski, A. and Kisiel, T. (2017) Simulation Model of Security Control System Functioning: A Case Study of the Wroclaw Airport Terminal. Journal of Air Transport Man-agement, 64, 173-185. Wang, C.-H. (2018) A Queueing Analysis of a Securi-ty-Check System with Two Types of Inspection Channels. Proceedings of the 2018 International Conference on Mathematics, Modelling, Simulation and Algorithms (MMSA2018), Chengdu, 25-26 March 2018, 102-106.